Observing that many from the student community face an "uphill task", Gandhi assured them of direct access to opportunities and vowed to end corruption in the system. 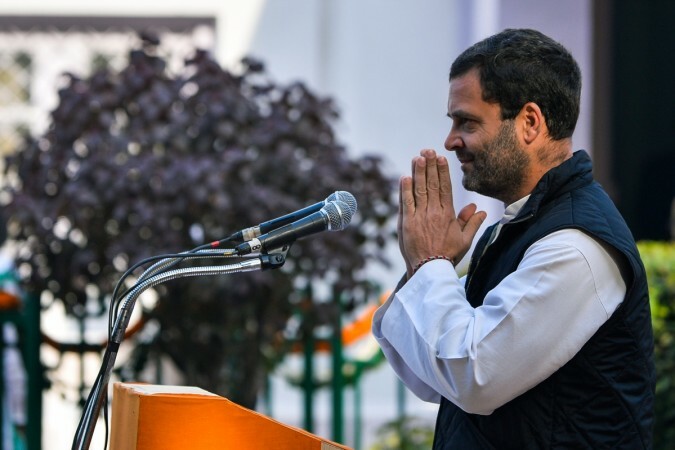 Taking note of high fees, tough competitions for limited seats and gap in education and employment sectors, Congress President Rahul Gandhi on Thursday assured students that his party will put the issues concerning the "nation builders" of future on the national agenda. In an open letter to students, Gandhi said a platform "Behtar Bharat" was being launched where students would have their say, thereby putting students' issues on the national agenda. Calling them "nation builders". Gandhi said: "Countries forge ahead not with war but with science and technology and art and literature. Societies progress by embracing rationality and justice. "However, many of you face an uphill battle: it is not easy to get admission into good colleges, college fees are often very high, and sometimes what you study does not seem helpful to getting a job. "We will do everything we can so that you have direct access to opportunities, and we will end the corruption in the system which holds you back," said Gandhi.